Moisturising waves, coils, curls and ringlets like a dream cream, while also adding gel-like definition, this genre-defying gel-oil formula delivers weightless hydration and hold for glossy, defined curls in a single step. Offering bounds more bounce per ounce, this royal jelly is the answer to your hair prayers. 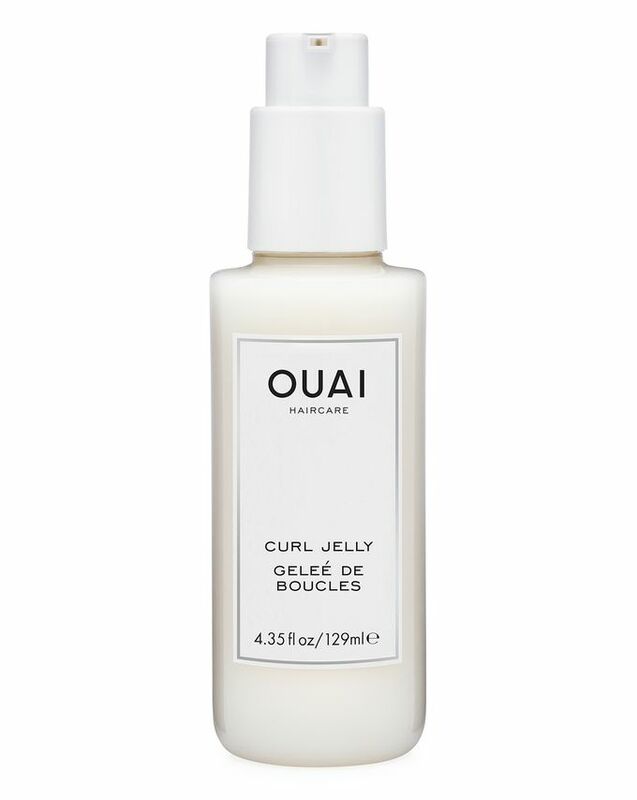 We don’t think you’re ready for this jelly… with its innovative gel-oil formula, OUAI’s Curl Jelly is a revolution in curl care (and it’s exclusive to Cult Beauty!). The nonpareil when it comes to mane maintenance, this ‘intelligent’ fluid annihilates frizz, replenishes strands with silk proteins and adds gel-like (super-flexible!) hold and definition, whether you’re rocking loose waves, corkscrew curls or glossy ringlets. Simply distribute it through damp hair and you’re good to go – as the cushiony formula is undetectable, your curls will be totally touchable and you’ll never have to worry about a dry, ‘crispy’ finish. Work a 20p-sized ‘blob’ between your palms and apply to clean, damp curls from root to tip. Founder Jen’s Styling Tips: Work a quarter-sized amount between your palms and apply to clean, damp curls from root to tip for frizzless and defined, ringlets, curls and coils. My hair is moderately curly and fine in texture. This product is a watery-jellylike consistency and easy to apply but it’s terribly drying. Also leaves a residue making the hair dull and lacklustre. Definitely not worth a try! I’ve got fine ringlets and agree with another comment that there are much cheaper products which do a much better job at defining curls. This dried my hair out and I could only get it to do anything by mixing it with another product. I love the Ouai smoothing creme but this was a dud. This product did not work for me. At all. Quite apart from the fact that my curls did not hold at all, it caused frizz and weirdly, dryness - so much so my hair looked like an unkempt homeless person (no disrespect intended to the homeless). It’s such a disappointment. As I mentioned in the review I left for the shampoo for curls, OUAI products worked for me. I'm almost finishing up the bottles and thinking about restocking. Especially the Curl Jelly, I literally use it every single time I wash my hair. It's perfect for curl definition if you let your hair air dry. Did absolutely nothing for my hair! I’ve purchased products for £3 that do a better job than this product! Why is it so expensive? It did nothing for my hair but make it frizzy & dry to touch, never ever again! Very rarely do I review hair products, as I have tried countless and have always been merely satisfied, but this is the best curl product I have ever used. It offers my wavy/curly hair frizz control, and creates perfectly formed curls that last, even if only air dried. Strongly recommend! I have thick curly hair that is prone to frizz. The Curl Jelly was nice to use and held my curls perfectly. It gave my curls a lovely definition. I will purchase again. It is a great product. I used it for my wet hair lock and it was perfect. I highly recommended it. This is an average product. Doesn’t do much for my curly but fine hair. No conditioning properties, no hold, no shine. Not a worthy investment. 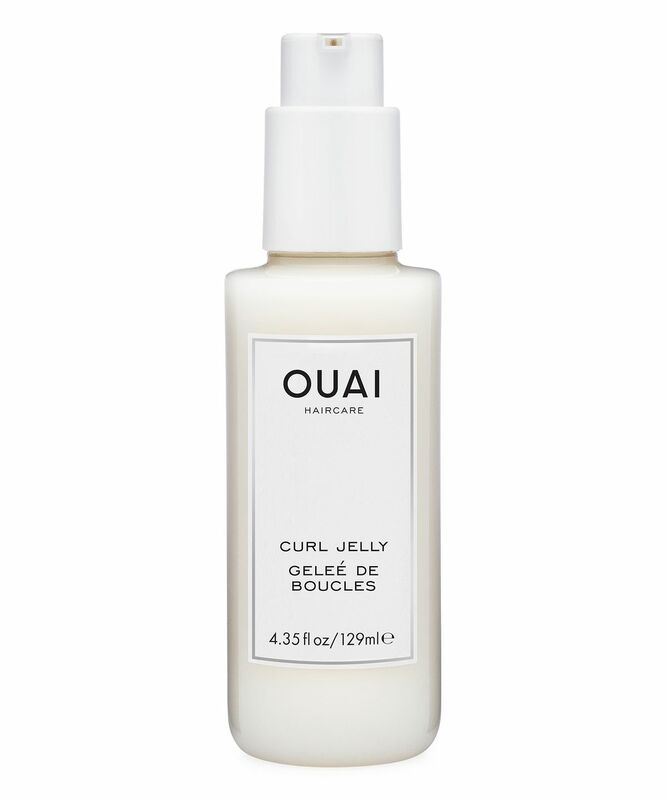 After trying, and loving, the Ouai shampoo, conditioner and hair mask I thought this product would complete my hair care routine but it just does nothing for my curls. It somehow does the opposite of what it says it should do; it doesn't lift or define, it doesn't hold, I get frizz within an hour of styling. For reference, I have fine hair but a lot of it and can usually style into soft ringlets or waves and leave to air dry with the Sachajuan styling creme or Redken products. I'll go back to those and pass this on to someone else. This really suits my curls. (They're ringlet type on fine but thick hair). I use it either with another product when damp - or to refresh my curls on the second day/as needed. I prefer using it on my dry hair as I have other makes of products I use when I've just washed it. It redefines my curls, isn't visible and can't be felt - perfect for this humid weather that can leave me with a frizzy halo. I've already repurchased.